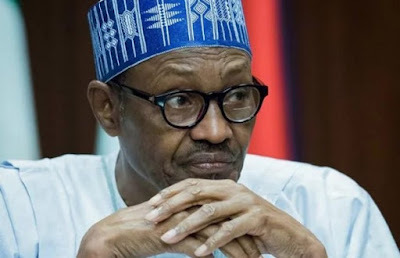 Just a day after receiving criticisms for endorsing and lifting up the hand of Governor Abdullahi Ganduje of Kano State, President Muhammadu Buhari raised up controversy again on Saturday when he openly endorsed Gombe Central Senator, Danjuma Goje, who is accused of fraud to the tune of N5bn. Buhari raised up Goje's hand shortly after delivering his speech at an All Progressives Congress rally in Gombe. The President had earlier told his supporters that he had delivered on his promise to fight corruption, diversify the economy and improve on the security of the nation. In April, 2018 the EFCC re-arraigned him alongside a former Executive Chairman, State University Basic Education Board, Gombe State, Alhaji Aliyu El-Nafaty, S.M. Dokoro, and the ex-governor's cousin, Alhaji Sabo Tumu. The EFCC alleged that the ex-governor forged the signature of the Clerk of the Gombe State House of Assembly, Shehu Atiku, to facilitate the loan. According to the EFCC, though Goje claimed that the N5bn was for infrastructural projects, the former governor allegedly diverted the money. The money was alleged to have been diverted and laundered between November 2, 2010 and February 24, 2011.